Our Social Studies curriculum has a chapter covering the States. 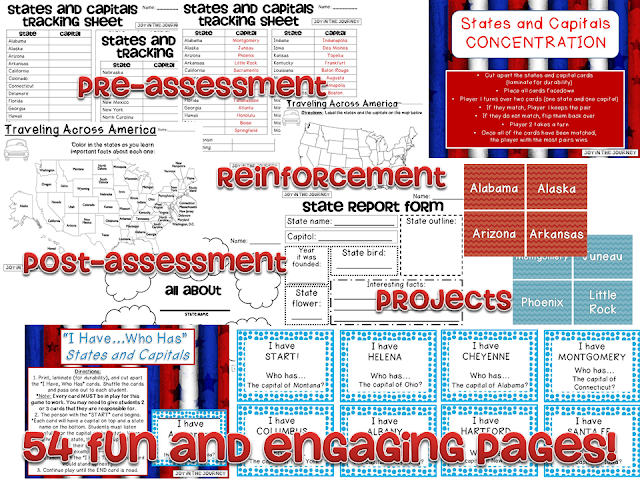 It's a quick overview that's more of a review than anything (they study the states in-depth in 4th grade). 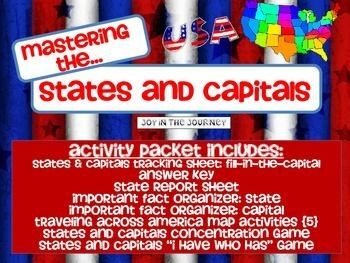 The chapter speaks as if all of the States are characters in a play about America and discusses the important role that each state would play. 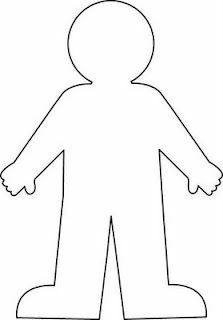 I gave each student a template and let them go to town, designing his (or her) "costume." They could choose to do a historical costume or one that fits the modern-day themes of WA. Here's a Seahawks loving character with two Washington staples: Microsoft technology and Starbucks coffee! This girl has grown up in Seattle and understands the rainy season! 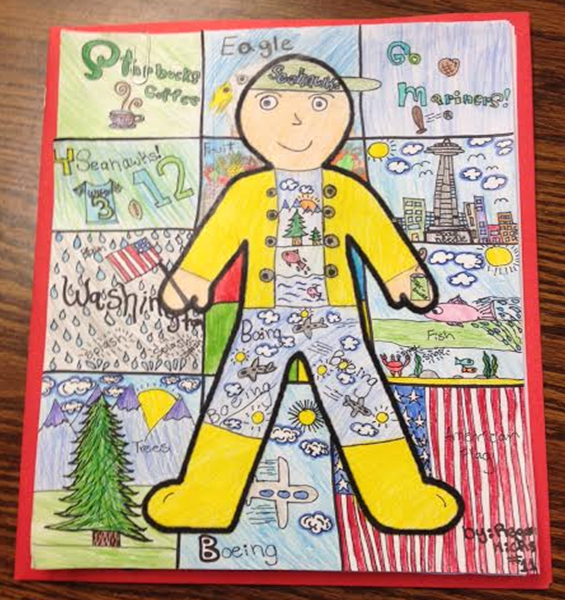 This student had a BLAST with this assignment. 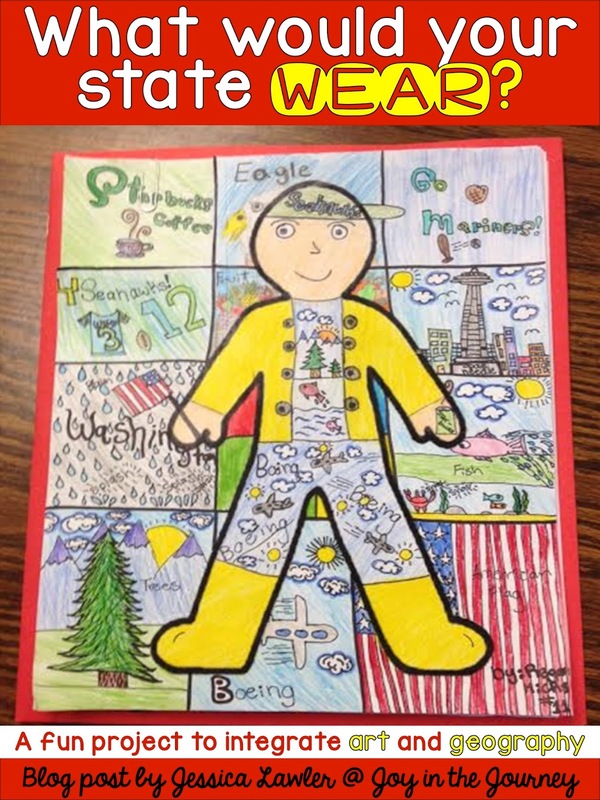 This quick, spur-of-the-moment project brought out the students' creativity and gave me some insight into their perception of their state, both historically and culturally. 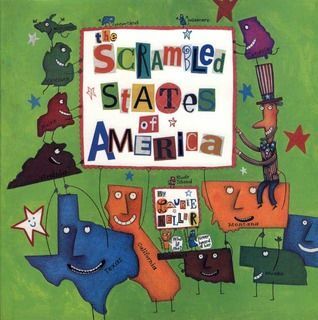 If you're looking for other fun resources that teach about the States, I recommend The Scrambled States of America, an awesome (quirky) book about the states. At the first annual "states party," Virginia and Idaho hatch a plan to swap spots so each can see another part of the country. Before the party is over, all the states decide to switch places. In the beginning, every state is happy in its new location. But soon things start to go wrong. Will the states ever unscramble themselves and return to their proper places? Packed with madcap humor and whimsical illustrations, this quirky story-starring all fifty states-is chock-full of introductory facts and silly antics that will make learning geography as much fun as taking a vacation. If you'd like something to supplement your study of the states, check out this 50+page MEGA packet includes everything you need. Simplify your lesson planning today - purchase this print-and-go packet for only $6.